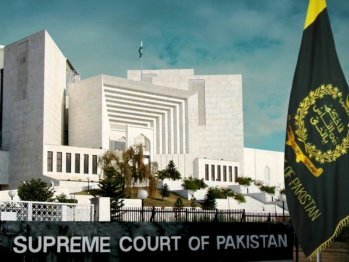 LAHORE: Life in Gawalmandi and Nisbat Road in Lahore depicts true Pakistani culture and the culture flourishing in the Defence Housing Authority (DHA), Lahore is not Pakistani culture in any way, Chief Justice (CJP) Iftikhar Muhammad Chaudhry said on Tuesday. He made these remarks while hearing a petition filed by the DHA seeking court permission to deny passage rights to residents of bordering housing societies such as Punjab Society, so that DHA’s security and culture of exclusivity could be maintained. Justice Jawad Khawaja and Justice Khalilur Rehman Ramday were also on the bench hearing the petition. The bench remarked that no ‘island’ or sovereign area could be allowed to be created in the name of societies and at the same time, no compromise could be made on security issues and no one could be allowed to violate others’ rights in this regard. Justice Khawaja remarked that elitists’ mindset would not work anymore and must be changed. In order to know what exclusive passage and public rights meant, he asked the DHA to take over Gawalmandi and added that the constitution strictly restricted exploitation and the court had to enforce the constitution. The DHA had filed an appeal against a Lahore High Court (LHC) judgment rejecting the DHA’s sovereign right to roads, passages and other public thoroughfare within its limits. At the case’s previous hearing, DHA counsel Maqbool Sadiq informed the court that the housing authority could give passage to outsiders in the adjoining Punjab Cooperative Housing Society and other housing schemes but with discretionary powers, as it had to cater to security and other needs. The CJP said that common people had made Pakistan and this fact needed to be understood by the elitists. Justice Khawaja said people living outside DHA were also human beings and had rights and not all people living in DHA were angels. The judge remarked that the elite class needed to change its mindset, as no area could be declared a no-go area to protect lifestyle’s of a few people. Justice Khawaja said that time had changed and will of the law would rule now and not the will of the elite class. Respondent’s counsel Shahid Hamid expressed willingness to set-up a boundary wall and passage through DHA roads on basis of passes. He said that street light and roads in the DHA were maintained by the Lahore Cantonment Board. After hearing arguments, the CJP asked the parties to sit together and find a way out acceptable to all. On being asked by the court to show any law, which allowed the DHA to exclusively use its roads and passages, the DHA’s counsel failed to produce any. The counsel said that the DHA, created through a Chief Executive Order in September 2002, was headed by the Lahore corps commander and had an executive to take decisions and time be allowed to discuss the matter with them. The court adjourned the case’s hearing until December 24 to see whether the parties could reach a settlement.